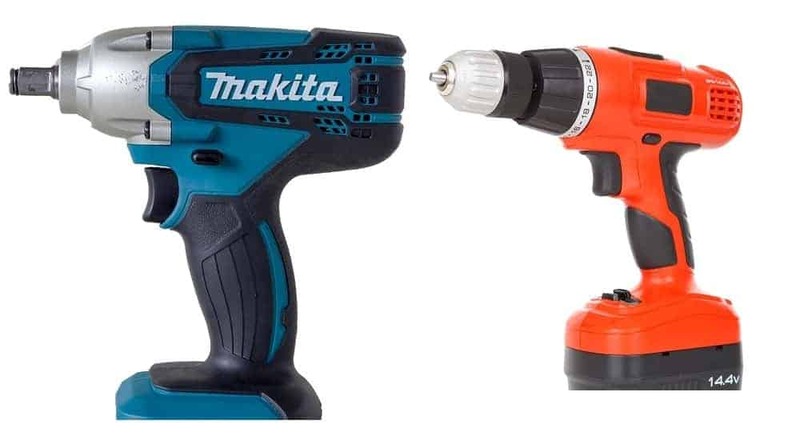 ▷ Impact Driver vs Impact Wrench 2019. Which is Better? Impact Driver vs Impact Wrench 2019. Which is Better? With a proliferation of power tools in recent years, every professional and DIYer can now get a tool of choice. There has also been an increase in tools with extra power yet they go with dropped price tags. However, this raises concerns about the right way to choose the right tool with all the interesting offerings in the market. Such tools include impact drivers and impact wrenches which are simple and easy to use tools yet hard to differentiate between. A customer looking for either of them may have a hard time differentiating between an impact driver vs. impact wrench without compromising on quality and efficiency. Drawing the sharp distinction between the two way ahead of making a purchase may, however, make things easier for them. This article seeks to draw the sharp distinction between an impact driver and impact wrench for you. Read through for more insights that will help you to make the right choice between them. Impact Driver Vs. Impact Wrench: Which one Should you go for? An impact driver is a tool used to drive fasteners through lumber or wood workpieces. The driver can also be used for unfastening screws and nuts or for drilling holes (to a certain extent) on varied workpieces. This makes the tool a valuable and versatile one for use by mechanics, home repairers, or woodworkers. For the tool to drive, for example, a long-threaded screw through several inches of a wooden workpiece, the tool needs torque. 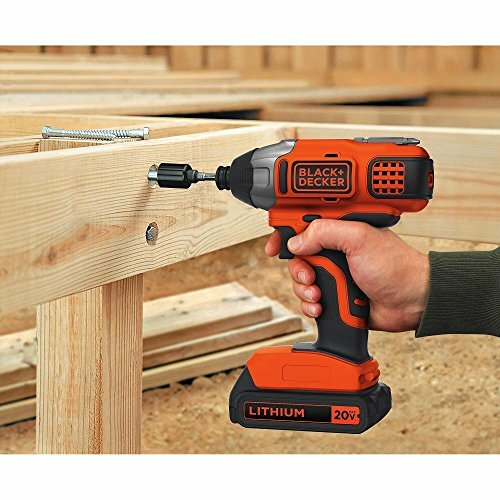 The impact driver’s excellent performance is attributed to the torque it produces. The torque, in this case, comes from a number of concussive impacts perpendicular to the surface. This gives the chuck and bit a lot of oomph to push fasteners through even denser materials. 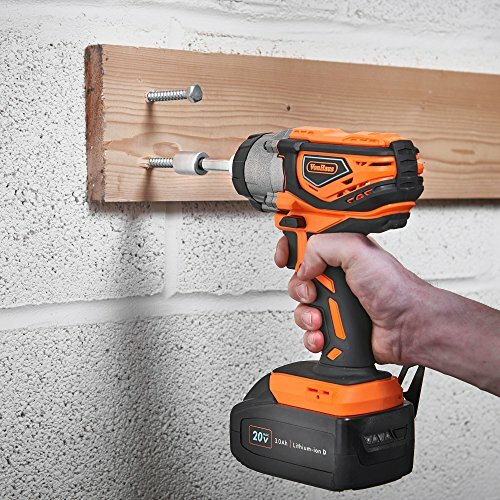 Corded impact driver: - powered by batteries. Cordless impact driver: - powered by electricity. Pneumatic impact driver: - powered by air/pressure. Manual impact driver: - powered by manual force from forward thrusts and striking using a hammer. Using the corded, cordless, and pneumatic impact drivers does not call for much labor as the power is already provided. However, using the manual impact driver calls for additional labor and tools like the hammer. The hammer is used to produce a strong and sudden rotational force as well as forward thrusts on the driver. Often, mechanics find it as one of the must-have tools and an ideal friend for loosening larger screws (or bolts) and nuts that may be over-torqued or corrosively “frozen”. Also, the direction may also be reversed where screws need to be tightened with a greater torque than what a screwdriver can provide. An impact wrench is a socket wrench power tool designed for use to deliver high torque output yet using minimal exertion from the user. The torque is delivered by storing energy in a rotating mass and then delivering it to the output shaft suddenly. The tool is also referred to as an impact gun, air gun, impactor, air wrench, windy gun, rattle gun, or torque gun. Usually, the impact wrench is used for fastening and loosening sockets. It can also be used in place of a regular wrench, for example, when making furniture or doing automotive work. In this case, a regular wrench is replaced if the lug nuts are tightly wound or the screw heads are badly stripped. 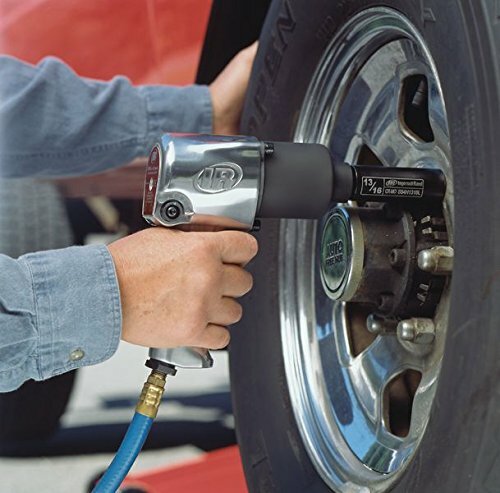 The magic behind an excellent performance by an impact wrench is the torque it delivers. Electricity or air compression gives the wrench’s motor a sudden burst of power which produces an intense rotating motion to break even seized nuts in one instant. Pneumatic impact wrench: - powered by air. Electric impact wrench: - powered by electricity. Hydraulic impact wrench: - powered by a fluid mechanism. Cordless impact wrench: - powered by batteries. Both the impact driver and impact wrench function similarly since they use concussive rotation blows. This in both cases helps to maximize the torque produced rather than spinning as a standard drill does. An impact driver is a tool that is designed to deliver a strong and sudden rotational and downward force. The tool is used for driving large or long screws into workpieces. An impact wrench, on the other hand, is a socket wrench tool designed for delivering high torque output. The tool depends on minimal exertion from the user and stores energy in a rotating mass. The energy is then delivered suddenly to the output shaft. An impact driver is a lighter, more compact, and less powerful tool while the impact wrench is a bit heavier, bulkier, and more powerful of the two. An impact driver produces more rotations per minute but less torque while an impact wrench produces fewer rotations per minute but with higher torque. An impact driver can be corded (electric-powered), cordless (battery-powered), pneumatic (air-powered), or manual (manual force applied using an extra tool like the hammer). An impact wrench, on the other hand, can be pneumatic (air-powered), hydraulic (fluid-powered), corded (electric-powered), or cordless (battery-powered). An impact driver produces less torque which calls for light duty tasks like regular DIY projects or home duties while an impact wrench produces much more power and has more torque. As such, an impact wrench is used to remove big and extremely tight sockets like in automobiles. A good comparison is between the Milwaukee M18 Fuel (cordless) impact driver which produces about 2,200 in. lbs. of torque versus the M18 1/2" impact wrench. The latter produces over six times of the former’s torque hitting about 13,000 ft. Lbs. An impact driver’s power is measured in inch-pounds while the power of an impact wrench is measured in foot-pounds. An impact driver uses 1/4-inch hex drives and mostly for driving screws (the 1/4-inch drivers can also be converted into 1/2-inch square drives). On the other hand, an impact wrench uses square drills that are generally 1/2 inch. The later is also designed for loosening or fastening sockets. An impact driver operates when an impact force is applied in rotational and axial directions while an impact wrench’s working principle revolves around impact blows and in rotational direction only. Loosening and tightening fasteners that need higher rotational torque than a standard drill can offer. Drilling holes in hard materials by using hexagonal shank drill bits. Removing and tightening lug nuts in the automobile industry. It is used in metalworking industries and production assembly lines. An impact driver is used for regular and practical DIY home purposes where a standard cordless drill may not give the desired results. Conversely, an impact wrench is practical for heavy industrial use like in fabrication shops or professional automotive garages. An impact driver is designed for DIY projects, construction, and practical home improvement needs. 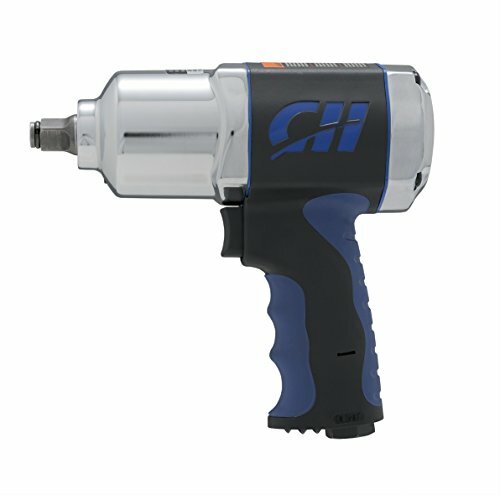 An impact wrench, on the other hand, is used for automotive repairs, heavy industrial equipment maintenance, assembly lines tasks, and large construction needs. As such, an impact driver is fit for both professionals and amateurs while an impact wrench is only fit for professionals. An impact driver is considerably affordable while an impact wrench is relatively expensive. Convenient for practical and easy tasks. Best for driving, fastening, and loosening screws. Is ideal for fastening and loosening nuts and bolts. Now that you have an idea of what each tool stands for, how it looks, and its purposes, it’s time to get down to work with them. Be it in your workshop or home garage, the following safety tips should be observed while using impact drivers and impact wrenches. Ensure always to check the hose and connectors before you can use the tools. Any sign of damage should not be ignored, and replacements should be the next step. Any malfunction no matter how little it is can lead to serious injuries. Avoid being a cheapskate who goes for the cheapest and poor-quality tools. Most of them are of low quality, and consistent use may result in them wearing out and causing damages to your workpieces or yourself. Make sure to fasten the sockets properly since these tools have a lot of torque. You should also hold the grips firmly to avoid ending up with a twisted wrist. Ensure you have ear protection headphones to protect your ears from the loud noise the tools may produce. Also, ensure to keep a distance from them, wear protective eye-glasses, and nose masks whenever possible. If you are using a pistol grip on your impact wrench, ensure to hold it with both hands for a more solid and firmer hold. Ensure to observe all other manufacturers’ user instructions. You should also take care of your tools in the best ways possible, keep them away from rust agents, and use them for the intended purposes. A little diversion from the instructions may result in unimaginable injuries or even rendering the tools useless. Using the right drives: - it is important that you use every tool with the recommended drives, sockets, and bits. Using inappropriate accessories can expose you to accidents and physical injuries. Lubricate moving parts: - this is among the basic maintenance tips for moving components since they go through a lot of friction and high heat exposure. The lubrication should be according to the user manuals provided. Also, you should ensure to change anything that needs a change regularly. For instance, oil filled filters should be changed at regular intervals while air flow in pneumatic tools should be tested regularly.